Last week, NCTA, the trade association for the industry formerly known as cable, posted this amazing graph and blog post showing that the "virtuous cycle" the Federal Communications Commission predicted would happen when it adopted the Open Internet rules (a.k.a. 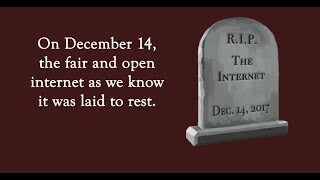 net neutrality) back in December 2010. Perhaps unsurprisingly, this matches the findings from Free Press' Derek Turner in this massive and meticulously documented report, "Broadband Investments And Where To Find Them." But it's still nice to see NCTA confirm it. Prediction Score: Net Neutrality Virtuous Cycle 3, Net Neutrality Opponents 0. I say these results are unsurprising because I predicted all the way back in 2005 this would happen if the FCC adopted non-discrimination/net neutrality rules. It matches what the FCC predicted would happen in 2010 when it justified adopting non-discrimination rules based on the "virtuous cycle" I described in my 2005 blog post. It matches what the FCC predicted again in 2015 when it reclassified broadband as Title II to preserve those non-discrimination rules. By contrast net neutrality nay-sayers like Jeff Eisenach, who predicted disaster, ruin, and a dystopia of slow speeds if the FCC adopted even basic net neutrality rules back in 2009 and 2015, were utterly wrong and owe those of us who got it right a big fat apology. So how did net neutrality opponents manage to get their predictions so utterly wrong whereas I and other net neutrality supporters got it right? The answer lies in an old cliché: "Among economists, the real world is often a special case." “Real Economics” v. The Actual Real World. Opponents of the FCC’s net neutrality rules like to repeat the mantra that the FCC’s Open Internet proceedings are an “economics free zone,” and that FCC Chairman Ajit Pai’s plan to roll back the rules and give ISPs the green light to degrade and prioritize marks a return to “real economics.” “Real economics,” apparently, does not actually need to have anything to do with the “actual real world” where us “real people” live. Those who keep credulously swallowing and regurgitating Doctor Ajit Pai's Amazing Broadband Snake Oil Cures need to keep this distinction between so-called “real” economics and the actual real world in mind. Even folks like Hal Singer, who at least engages on this stuff with actual data end up falling into the favorite economist fallacy of chasing numbers down the rabbit hole of “real” economics that have nothing to do with what we actually care about here in the real world. In this case, just to remind folks, we know exactly what the FCC (and a reviewing court) are directed by Congress to care about (and what makes good policy, FWIW): getting better faster affordable broadband to all Americans so they can do all the cool stuff Congress specifically identified in the Broadband Data Improvement Act of 2008 (BDIA) as The Reasons The FCC Officially Cares About Broadband (now codified at 47 USC 1301). The Real World Looks at Results, Economics Land Looks at “Carrier Investment.” Guess Which World Reviewing Courts Care About? I know, I know, but what about the whole CAPEX debate? Well, as most of us have been saying for awhile, it's actually pretty damn irrelevant. We only care about investment because it gets us to the results we want. Even if we accept Hal Singer's more restricted definition of what constitutes relevant capital investment (only major carriers, excluding the major handset investment by Sprint) that is consistent with actual efficient investment. Remember, investment for its own sake is not the point. What we want -- and what Congress directs the FCC to care about -- is that delightful graph NCTA posted showing the ever-increasing speed of broadband. As folks out in the real world who follow investment cycles (like Derek Turner) will explain if you actually listen rather than sneer, broadband networks go through cycles of huge investment, followed by several years more modest spending to incrementally increase speeds, followed by an upsurge of new investment as the old technology gets replaced by something entirely different. (As Derek Turner points out, that’s exactly what happened with AT&T’s Project Velocity investment in 2013-15.) For example, upgrading cable modem speeds by upgrading DOCSIS turned out to be much cheaper than expected, and did not require replacing coax with fiber to get 100 mbps speeds (which would have been much more expensive). In the real world, we expect that and treat it as a good thing. Remember all that stuff about how firms want to minimize cost and maximize profit so they innovate 'n stuff? The prediction of the virtuous cycle/Open Internet rules is that – absent the ability to make money more easily by degrading service generally and forcing folks to pay for “priority service” – broadband providers like cable would find ways to create better faster broadband as cheaply as possible. So, says the real world, if it is actually cheaper to deliver better speeds we should expect them to spend less on CAPEX. By contrast to the real world, in “Real” Economics Land inhabited by folks like Pai, Eisenach, and Singer, policy is a failure if it doesn’t force ISPs to make increasing amounts of inefficient investment because CAPEX, rather than actual real world results, is the measure of success. Which is why the actual law Congress passed, and the measure of success a reviewing court will care about, is not how much money did carriers spend in a given year. 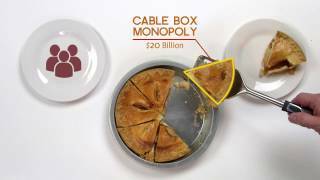 Like honey badger, the real world don't care whether carriers spend the money to make broadband better, edge providers spend the money to make broadband delivery better, or if it just turns out to be a lot cheaper to keep improving broadband speeds and quality. Honey badger just don't care; and neither will a reviewing court if FCC Chairman Ajit Pai justifies reversing the Title II rules as a “failure” because CAPEX of carriers is down even if the actual stuff the law directs the FCC to care about (better faster broadband) is up and overall investment in the internet ecosystem is up. The FCC adopted the Open Internet Order because it determined that doing so would preserve the traditional incentive of broadband providers to make money by selling faster better broadband, rather than follow the airline model of making your must-have product consistently worse so that those who can afford to do so pay extra just to get to "less Hellish." As both Free Press and NCTA have shown, that's exactly what happened. That may not impress “real” economists, but it is what actually matters out here in the real world. It’s why the D.C. Circuit affirmed the FCC’s 2015 Reclassification Order despite all the mockery about the Order being an “economics free zone.” And it’s why Pai’s Plan will get slapped with reversal if he uses so-called “real economics” to justify reversing Title II. Image credit: Wikimedia Commons "Virtuous cycle in macroeconomics"